A user-defined function (or simply "user function") is a block of statements that can be used repeatedly in a program. It can return a value (using the command "return"). The function declaration starts with the word "function", then a space, then the name of the function. There is a lot you can do with user functions. It opens a whole new dimension to automated file management. See the Help file for details, options, and examples. Check out the User Functions Exchange in the User Forum. Together with user functions the include statement allows you to build up function libraries that are easily shared between your scripts. The include_once statement is identical to the include statement, with the only difference being that if the code from a file has already been included, it will not be included again. There are no errors or messages. Trying to include_once an already included file will simply ignore the statement and continue. Copy File Size. 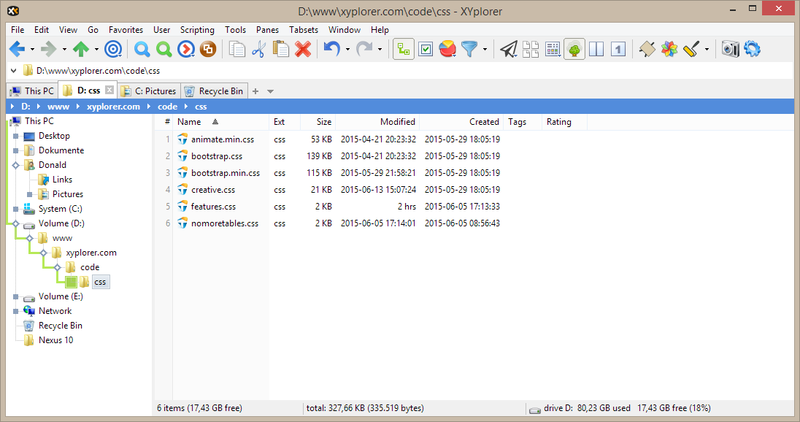 Quickly copy a file's size in various formats. Now when you hold CTRL and right-click a cell in the Size column the cell's context menu shows a number of common size display formats (RAW, Bytes, KB, MB, GB) of the file's size, ready to be copied to the clipboard. Click to copy the file size to the clipboard. Don't know about your time, but it will surely save some of mine. Age Display Limit. 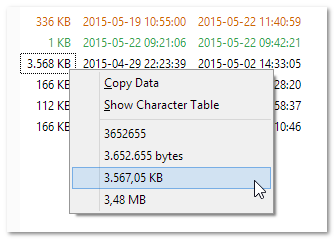 Now you can show the age for today's files, the absolute date for all other files. Simply enter "d" (w/o the quotes) into Configuration | Styles | Show Age maximum hours. Other possible values: h (hour), w (week), m (month), q (quarter), y (year). Note that Tools | Customize List | Date Column Format | Show Age (Ctrl+Shift+E) has to be enabled as well; this is the master switch for Age being shown in the List. Tip: Right-click any of the date columns to toggle Show Age from the popup menu.